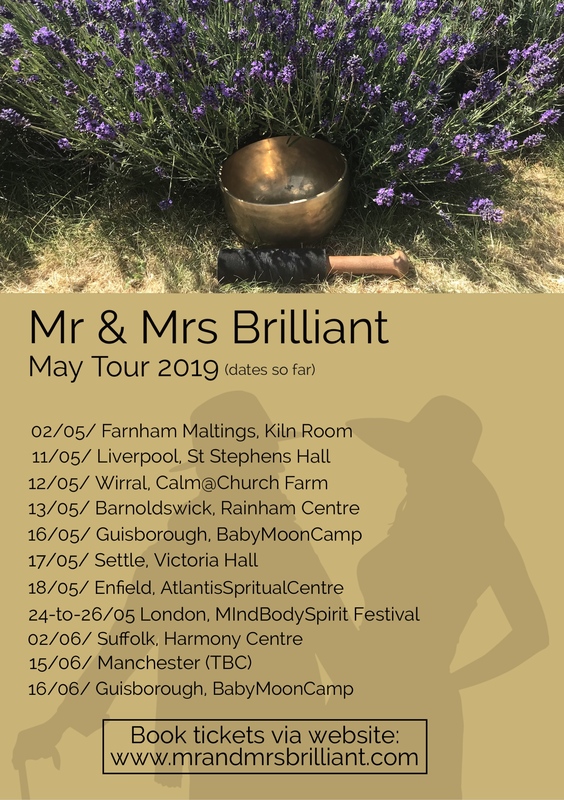 Mr & Mrs Brilliant - creators of sound medicine to soothe and heal the soul, are returning to Liverpool on Saturday May 11. Their SoundWave event draws on their music training and practice of 60-plus years combined, to create a sound healing journey. The pair work with mantra, reworking and inventing new melodies combined with Laura's voice and gareth's harp along with gongs and bowls. Participants simply lie back, relax and let the sounds created wash through and around them. The event is from 2pm till 4pm at St Stephen's Church Hall, Lance lane/Woolton Road, L15 6TB.